Apple's share of the market for tablet computers fell to 50 per cent in the third quarter as the iPad faced more competition from Android devices such as Samsung's Galaxy tablets and Google's Nexus 7. Apple still had a solid lead and shipped more iPads worldwide than a year earlier, according to Monday's study by IDC. Apple had no new tablets out in the third quarter. It also might have seen sales slow amid expectations of a smaller iPad. Apple could regain share in the holiday quarter with last Friday's release of new iPad devices, including the iPad Mini. 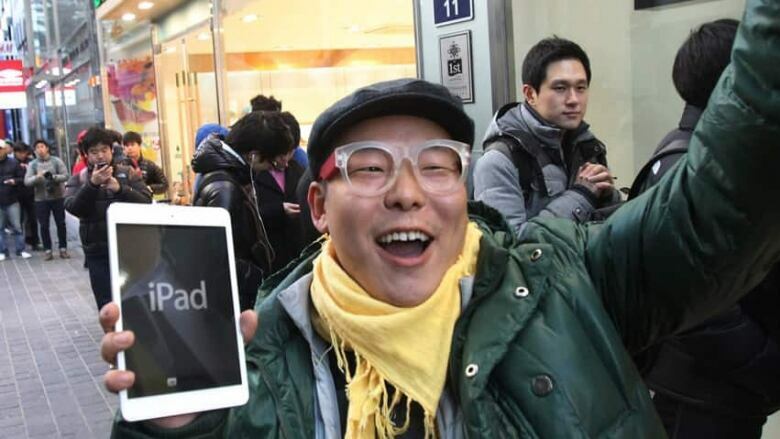 Apple said Monday that it sold 3 million iPads of all kinds through the weekend, double the 1.5 million iPads sold in the first three days after Apple launched the third-generation iPad in March and cut the price of the iPad 2. However, the company will face competition from new devices from Amazon, Google and others over the next few weeks. In the July-September period, Apple shipped 14 million devices, up 26 per cent from 11 million a year ago. Its market share fell from 60 per cent in the third quarter of 2011 as the overall tablet market grew by 50 per cent to nearly 28 million. Samsung's market share grew to 18 per cent, from about 7 per cent, as it more than quadrupled the number of tablets shipped to 5.1 million. The quarter saw the release of the Galaxy Note 10.1, a device built for use with a stylus. Amazon.com Inc. was in third with its Kindle Fire, which had a 9 per cent market share. Amazon didn't release a new version until late in the quarter, but it had nothing in the third quarter of 2011 because the Fire wasn't released until last November, after the quarter ended. Amazon managed a 9 per cent worldwide share even though the Fire was available only in the U.S. during the third quarter. No. 4 tablet maker AsusTek Computer Inc., which makes the Nexus 7 for Google Inc., saw its shipments more than triple to 2.4 million. It had a share of 8.6 per cent, up from 3.8 per cent. "Competitors are turning up the pressure on market leader Apple," said Ryan Reith, a program manager for mobile devices at IDC. Amazon and Google will start shipping larger versions of its tablets this month. The Kindle Fire and Nexus 7 both have had screens measuring 7 inches diagonally. Google's Nexus 10 will be 10.1 inches, while Amazon's will be 8.9 inches. By comparison, the regular iPad is 9.7 inches. Samsung is making the larger Nexus tablet, while AsusTek will continue making the 7-inch one. Meanwhile, tablets and other devices running Microsoft's Windows system started going on sale last month, after the third quarter ended. That includes Microsoft's own Surface. Apple Inc., maker of the iPad, 14 million shipped worldwide, 50.4 per cent share. Samsung Electronics Co., maker of Galaxy line, 5.1 million, 18.4 per cent. Amazon.com Inc., maker of Kindle Fire, 2.5 million, 9 per cent. AsusTek Computer Inc., maker of Transformer line and Google's Nexus 7, 2.4 million, 8.6 per cent. Lenovo Group Ltd., 400,000, 1.4 per cent.